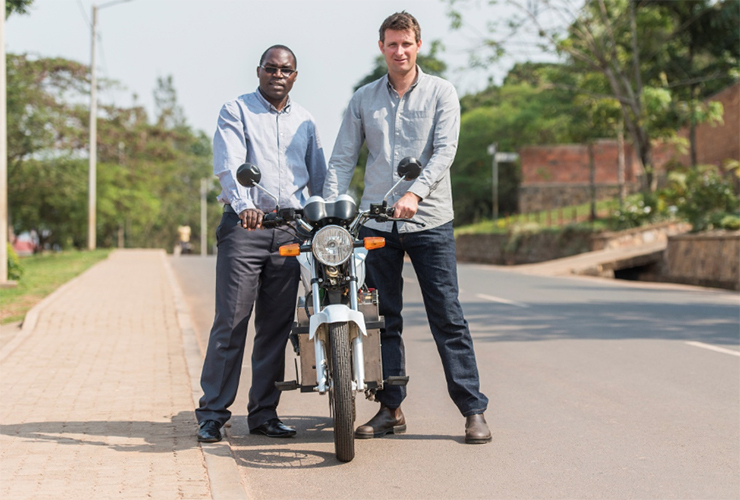 Ampersand begins e-mobility trial in Rwanda | electricmotorcycles.news | It's time. Kigali, Rwanda, 25th September 2018 – Press release | Ampersand, an electric vehicle company, is beginning electric motorcycle taxi (e-Moto) trials in Rwanda. Following 2.5 years of research and development, it is testing four different e-Moto models, specifically for motorcycle taxi drivers. The initial e-Moto customer trials, with passengers, show an average 65 km range per charge and a top speed over 80 km/h. The electric motor gives the e-Moto greater torque and carrying power, with it outperforming incumbent 125cc petrol bikes on speed, climbing and acceleration tests. Motorcycle taxi drivers in Kigali cover around 188 km per day. Motorcycle taxis have become indispensable to mass mobility across the continent. In East Africa alone, there are over 3 million people who earn their livelihood as drivers, and many millions more who rely on them to get around. E-Motos are calculated to generate a 75% net reduction in greenhouse-gas emissions compared to petrol bikes. Per annum fuel savings are projected at upwards of US$900 per bike, more than doubling driver income. Final pricing is still confidential, but the e-Moto will cost less than the current petrol incumbents. 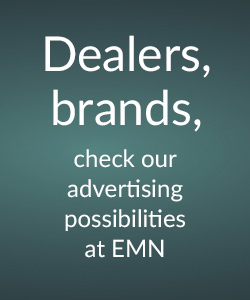 Ampersand’s turnkey solution will feature motorcycles, a network of charging stations, financing, and after-sales service. Following design and system modifications, the e-Moto will be ready for commercial launch in Rwanda in late 2019. 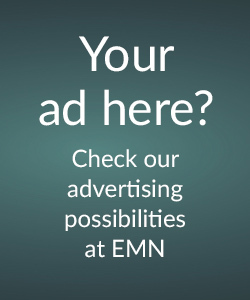 Factor[e] Ventures is the first institutional investor in Ampersand and is deploying its techno-economic modeling to refine the e-Moto offering and business model. The United Kingdom’s Department for International Development (DfID) is also backing Ampersand through its Frontier Technology Livestreaming programme, which is designed to help DfID apply frontier technologies to development challenges. Ampersand is an electric vehicle company, developing mass-market shifts from petrol vehicles to direct, cheaper, better electric replacements. 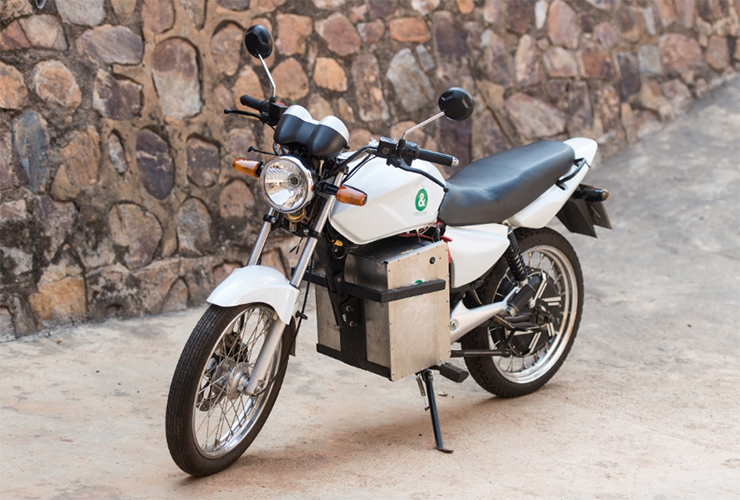 It is currently undertaking electric motorcycle taxi (e-Moto) trials in Rwanda, prior to a commercial launch of the fleet in late 2019. 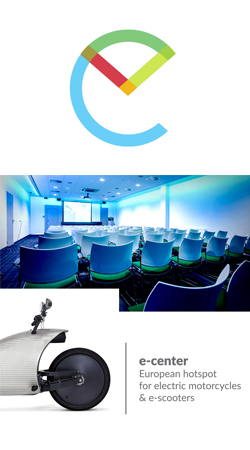 For more information about Ampersand, please visit ampersand.solar. Founded in 2014, Factor[e] Ventures is a venture development firm with a mission to improve lives in the developing world through increased access to sustainable energy and related services. Factor[e] supports early stage entrepreneurs through a unique blend of risk capital and world-class technical resources. This work revolves around finding, validating, funding, de-risking, and growing a rich pipeline of social ventures that aim to solve profound global problems. For more information, please visit www.factore.com. 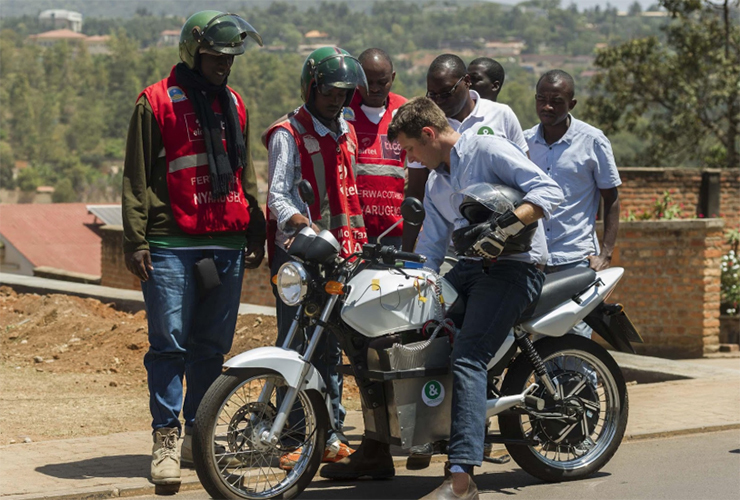 Four different XHP models currently being trialed by Rwanda motorcycle taxi drivers. Electric engines deliver cleaner, more efficient and powerful performance. The e-Motos have an average 65 km range per charge with a passenger. E-Moto top speed is rated at 80 km/h but can go faster. Thanks to greater torque, e-Motos outperform petrol incumbents on load-carrying. E-Motos will be priced below current incumbent market prices in Kigali. Fuel savings are projected at upwards of US$900 per motorbike, per annum. E-motos are calculated to generate a 75% net reduction in greenhouse-gas emissions compared to traditional motorcycles. E-Motos will come as part of a turnkey service for motorcycle taxis including vehicles, finance, charging and after-sales support. Motorcycle taxi drivers in Kigali are doing upwards of 188 km per day. Motorcycle taxis are the backbone of mass mobility across Africa. But a lack of affordable transport for goods and people is an obstacle to growth. In East Africa alone, there are some 3 million commercial boda-bodas in operation and quickly growing. They provide transportation in congested city streets and have the ability to pass through rough terrain. Each day, all these motorcycles combined make the equivalent of two round-trip journeys to the sun. Across much of Africa, motorcycle taxis, or “boda-bodas,” contribute significantly to livelihoods and mobility. 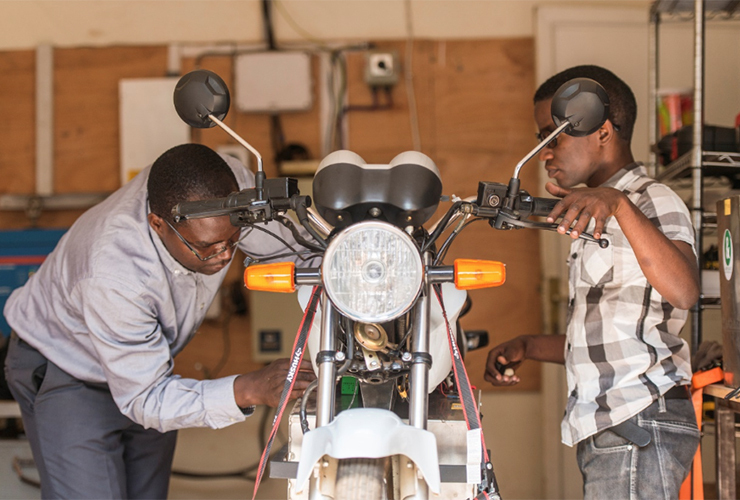 Commercial motorcycle operation is the largest non-agricultural employer and gives youth a stable way to make a living, without a formal education. All photos are to be attributed to Ampersand Limited.